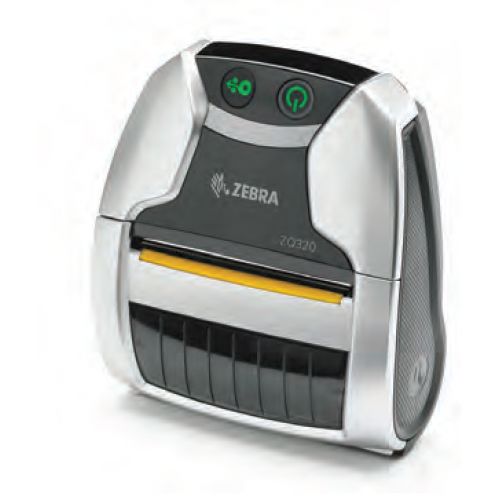 Whether workers are printing out price markdown labels on the sales floor or leaving a delivery notice at a customer's doorstep, they need a mobile printer that's fast, flexible and reliable. The ZQ320 is the little mobile printer that can do it all. Building on the legacy of the legacy iMZ series mobile printers, customers can choose from two design models to fit the needs of their business. An insidethe-four-walls model enables associates to ring up sales anywhere in the store, prevent abandoned sales and improve the shopper experience. An outsidethe-four-walls model can handle the elements, generate high quality receipts and guarantee power for the longest shift in the field. Both models offer the fastest wireless connections available; class-leading battery and power technologies for full-shift power; enterprise durability to handle everyday drops and bumps; and powerful remote management capabilities that significantly lower total cost of ownership.